Open for breakfast lunch and dinner, allow Chef Kelly Staples to prepare your special meal at our Harbor Lights Restaurant. If you are looking for a golf getaway, take advantage of the convenience of our Tees and Zees golf packages. 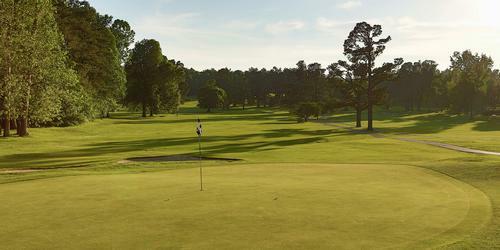 Stay in one of our 72 cabins or directly at the golf course in the Village Green Inn. Please call 270-362-8658 for current rates. Call 270-362-8658 for rates and tee times. Contact Kentucky Dam Village State Resort Park at 270-362-8658 for more information and details on holding a golf outing at the course. This profile was last updated on 12/11/2015 and has been viewed 17,510 times.